I’ve found Summer in a glass and it’s this sparkling grapefruit cocktail. When it comes to Summer, I really don’t like to drink anything too heavy. Beer makes me bloated, I love cider but it makes me burp a lot, and I can’t do frozen drinks at all. It’s a real struggle. But when I found the brand Truly I was absolutely smitten. I drink sparkling water a lot when I’m at work, so why wouldn’t I absolutely love a spiked version?! Truly was nice enough to send over an arrangement of flavors for the team and I to try out. Squeeze your grapefruit and lime juice into a glass. Add your Truly to the juice. Truly Spiked & Sparkling is a refreshing alternative to beer, wine, and sugary cocktails. A great way to enjoy a drink – without feeling weighed down. At just 100 calories, 1g of sugars and 2g of carbs, Truly Spiked & Sparkling has many attributes health-conscious drinkers look for – in addition to being gluten free. Some of the flavors include Pomegranate, Sicilian Blood Orange, Lemon & Yuza, as well as Colima Lime. This grapefruit cocktail is slightly sweet, fresh and fruity, but with bubbles of course! 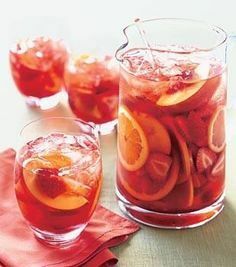 If it is too tart for your liking, simply add a splash of Sprite or simple syrup to add some sweetness. THIS WAS NOT A PAID SPONSORED POST, BUT I WAS GIFTED THESE PRODUCTS BY TRULY. I ONLY SHARE THE BRANDS AND PRODUCTS THAT I ABSOLUTELY LOVE HERE ON THE LCC. Wow it’s too cool i will try it.